What is osteoporosis?...and how is it connected with menopause? Posted in General Health & Wellness on May 20, 2010. Last modified on January 24, 2018. Read disclaimer. Strong bones are vital to healthy, active, independent living for all ages and both genders. But for women around the time of menopause and beyond, bone health is especially important. This is because estrogen, the hormone that drops around menopause, is also the hormone that slows bone loss. So, women at mid-life and beyond are especially vulnerable to osteoporosis, a disease that makes bones weak and fragile. 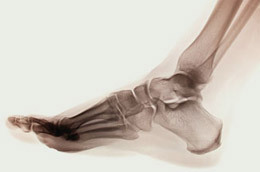 In fact, 80% of American women over the age of 50 show signs of osteoporosis. Imagine what your life would be like if you couldn't sit up or stand straight... couldn't lift a little child... couldn't walk without help. Those are the consequences of the bone breaks most common to osteoporosis, striking the spine, the hip and wrist. Any of these bones if weakened by osteoporosis, can break during the simplest of daily movements, from climbing stairs to just bending forward. The risk factors for getting osteoporosis are highest for older, white or Asian women who are menopausal and post-menopausal, have a thin, small body build, and a family history of osteoporosis. While those risks can't be controlled, certain lifestyle factors can. The best way to prevent weak bones is to work on building strong ones -- since having optimal bone mass early in life can reduce one's the chances of developing osteoporosis later on. And, while bone density and bone strength peak before age 40, it's never too late to start. Get enough calcium. From food and supplements, women over 50 should get a minimum of 1,200 milligrams of calcium per day. Get enough Vitamin D. New research indicates that the overwhelming majority of people don't get enough Vitamin D, whether from sunlight, food or even many supplements. The Institute of Medicine suggests that adult women take 400 IU of vitamin D daily and upping this to 600 IU daily for women over age 70. Eat right to make sure you are getting adequate intake of iron, zinc, protein and antioxidants. Dairy products, lean meat, green, leafy vegetables and oranges are bone-happy foods. Avoid becoming overweight. 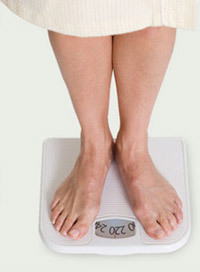 Obesity can negatively effect bone health. Exercise. Physical activity in general, but especially weight-bearing activities can slow bone loss, improve muscle, and help balance (which is important in avoiding falls and fractures). Strive for at least 30 minutes of physical activity daily. Don't smoke. It harms your bones, and depletes even more estrogen from the body. Drink alcohol moderately. Too much can make it harder for your body to use bone-building calcium, and can also affect balance. Be safe at home. Reduce your chance of falling: avoid scatter rugs and clutter that can be trip hazards. Baby boomers claim that their biggest fear is cancer. Yet the facts show that heart disease and diabetes should be on the top of that list. A recent LifeGoesStrong poll indicates that 36% of boomers are obese (compared to 25% for the generations just above and below them) and an additional 36% are merely overwieght (though not categorized as obese). While many baby boomers say they get some aerobic exercise, only about a quarter of them are getting the recommended 2-1/2 hours a week of exercise. And just 37% are performing the strength training that is crucial in fighting muscle loss. Another contributing factor is that our consumption of high-fat, high-carbohydrate foods continues to increase. These sobering statistics could definitely affect Medicare costs as the 77 million baby boomers begin turning 65. Obesity, along with its extra risk of heart disease, some cancers, sleep and respiratory problems, diabetes, high blood pressure and arthritis - will further those costs. About 60% of boomers who were polled say they are dieting to lose weight. But, experts warn that it takes physical activity and not just dieting to lose pounds. Physical activity can help people prevent the mobility problems that often happen to sedentary people as they age. According to Jack Rejeski of Wake Forest University, a specialist in exercise and aging, dieting alone can often cause loss of precious muscle in addition to fat. He says, "Whether you're overweight or just the right size, physical activity can help stave off the mobility problems that often affect sedentary people. Muscles gradually become flabbier until people find themselves on the verge of disability." He led a study that found that a modest weight loss plan along with 2-1/2 hours of walking per week can significantly help people over the age of 60 improve their mobility. "I don't think there's any question the earlier you get started, the better," adds Rejeski. London, England - Weight is the biggest factor affecting hormones that increase breast cancer risk in postmenopausal women, say researchers in the British Journal of Cancer. The study, funded by Cancer Research UK, found that weight had the biggest influence on hormone levels - raising them all, especially estrogen, which can fuel breast cancer. Alcohol and cigarettes were the next things to affect hormone levels. Dr. Julie Sharp, senior science information officer at Cancer Research UK, said in a press release: "We know that the risk of the disease can be affected by family history and getting older, but there are also things women can do to help reduce the risk of the disease. Maintaining a healthy body weight and reducing alcohol consumption are key to reducing breast cancer risk." White Plains, New York - A recent independent test on 28 Vitamin D supplements highlighted a variety of problems in 29% of the supplements reviewed, according to ConsumerLab.com. One of the most popular supplements among consumers, Vitamin D sales rose from $72 million in 2006 to $429 million in 2009. In a ConsumerLab.com reader survey, 56% of respondents used the vitamin, and it ranked as number four in popularity. In the testing, ConsumerLab.com found that the most common problem was the wrong amount of vitamins. In a children's gummy bear supplement, the bears contained 251% more Vitamin D than listed; a gummy product for adults contained only 32% of the listed Vitamin D; a liquid form of the supplement contained only 44% of the stated amount; and a tablet contained only 83% of the listed amount. Highland Heights, Kentucky - Alcohol with energy drinks may be riskier than alcohol alone, say Northern Kentucky University researchers, reported in Alcoholism: Clinical and Experimental Research. Fifty-six participants were given alcohol, an energy drink, an energy drink/alcohol combination or a placebo. Afterward, they were given a task that measured how quickly they execute actions, and were asked how they felt in terms of stimulation, sedation, impairment and levels of intoxication. "A consumer of alcohol, with or without the energy drink, acts impulsively compared to when they had not consumed alcohol. However, the consumer of the alcohol/energy drink felt more stimulated compared to an alcohol-alone consumer. Therefore, consumption of an energy drink combined with alcohol sets up a risky scenario for the drinker due to this enhanced feeling of stimulation and high impulsivity levels," said Cecile A. Marczinski, first author of the study. Michelle Myers is a woman from Arizona who’s never left the country, but she now speaks with a British accent. “I would never wish this on my worst enemy." The U.S. Consumer Product Safety Commission (CPSC) officially recalled 4.7 million Fisher-Price “Rock 'n Play Sleepers” Tuesday because of reports of infant deaths. New Jersey has seen an increased rate of autism in preschool age children over the past four years compared to children in other states involved in a study published by the Centers for Disease Control and Prevention Thursday.